My treasured 1854 Wheatstone EC has developed an alarming green tinge on some of the leather work; photo attached which tells the story better than a thousand words. Is there anything I can do to stop this happening, and anything I can do to reverse the green that's already developed? I always keep silica gel packs in my concertina cases and I'm not aware that it's got damp (it's not been played outside for example). 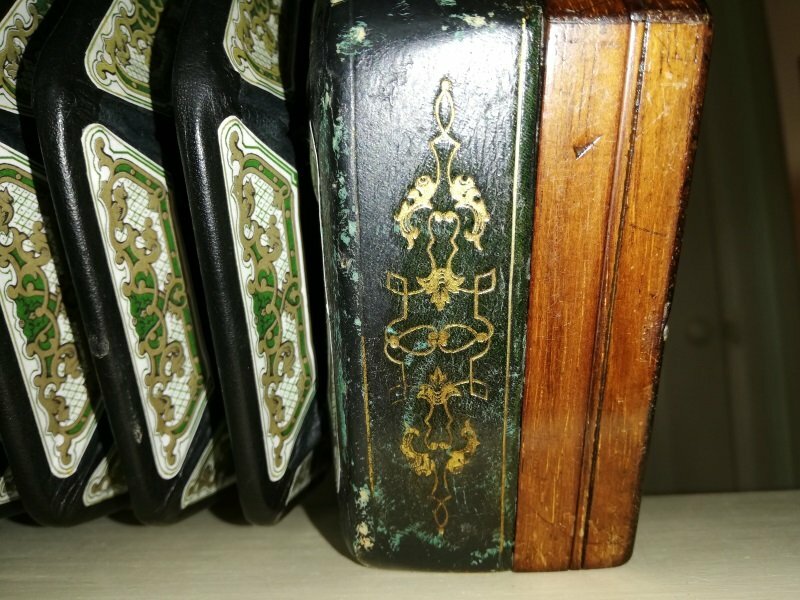 You'll find that your concertina actually has a green bellows which has darkened with age so that in most light conditions it looks almost black. Yep! Though it looks like someone has put new top runs on with black leather and those new looking papers cover the rest a wee bit.